Follow the A30, the main trunk road through Cornwall, towards Redruth. Just before reaching Redruth look for the B3277 off the Chiverton Cross roundabout. 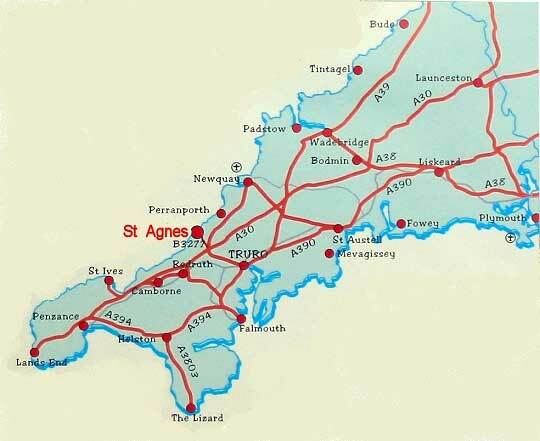 The B3277 is clearly marked St Agnes. Follow the B3277 for about 3 miles. 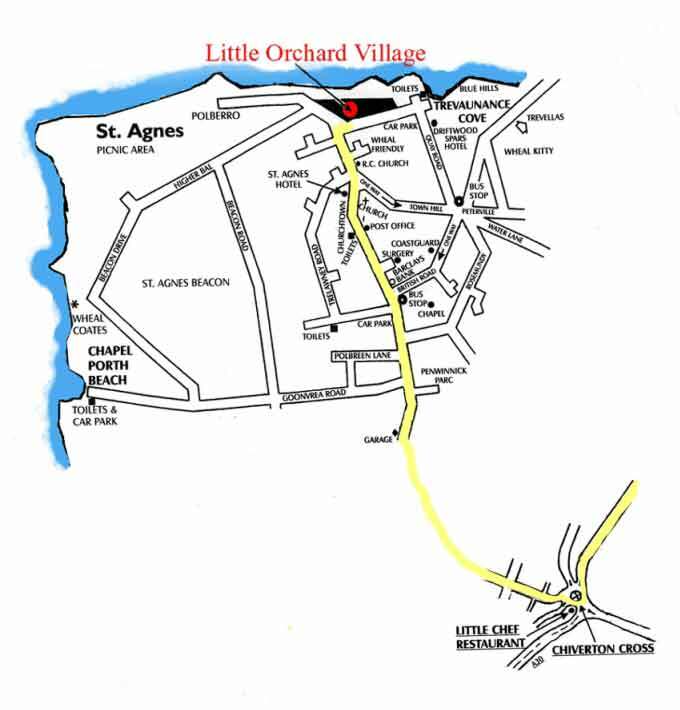 As you enter St Agnes you will encounter a mini roundabout, take the right hand exit towards the centre of St Agnes. After a little while the road then turns into a one way street, continue until you see St Agnes Hotel in front of you, after passing the Hotel take the first left into Trevaunance road. Rocky Lane is the second turning on the right. Your Holiday home is just a little way down Rocky Lane on the left.